A lot of us grew up watching Mister Rogers’ Neighborhood when we were little. A kinder, gentler man you’ll never find on TV, or maybe anywhere in the world, and for many, it was truly a tragedy when he passed away twelve years ago. But his spirit lives on in the new PBS Kids Show Daniel Tiger’s Neighborhood. 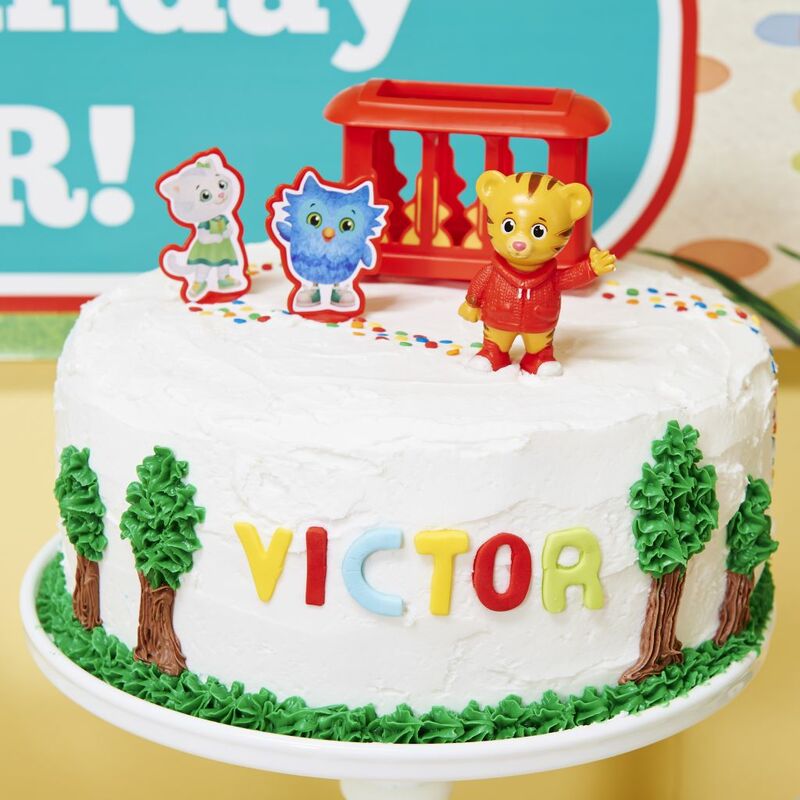 Click here to see an alternate design for a Daniel Tiger party, from Jenny Dixon of Craft That Party! The show takes place in the Land of Make Believe (yes, the same Land of Make Believe from Mister Roger’s Neighborhood) and the main characters are all the children of our favorite characters from back in the day. 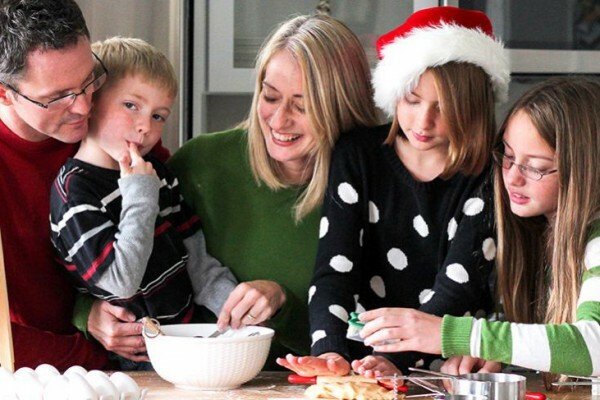 There’s Katerina Kittykat (daughter of Henrietta Pussycat), Prince Wednesday (youngest son of King Friday and baby brother of Prince Tuesday), O the Owl (Nephew of X the Owl), and of course Daniel Tiger (son and namesake of the original Daniel Striped Tiger). 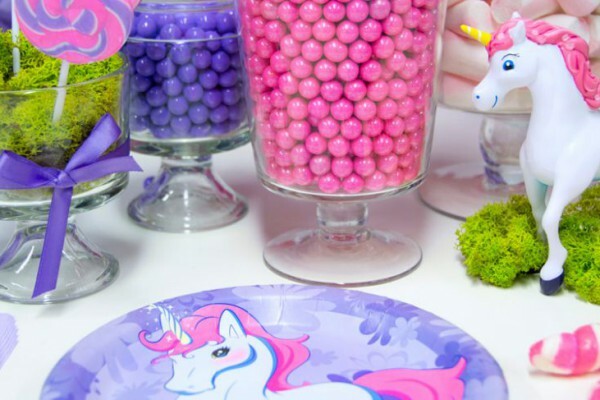 Kids love this new show, and it’s quickly becoming a hugely popular party theme. 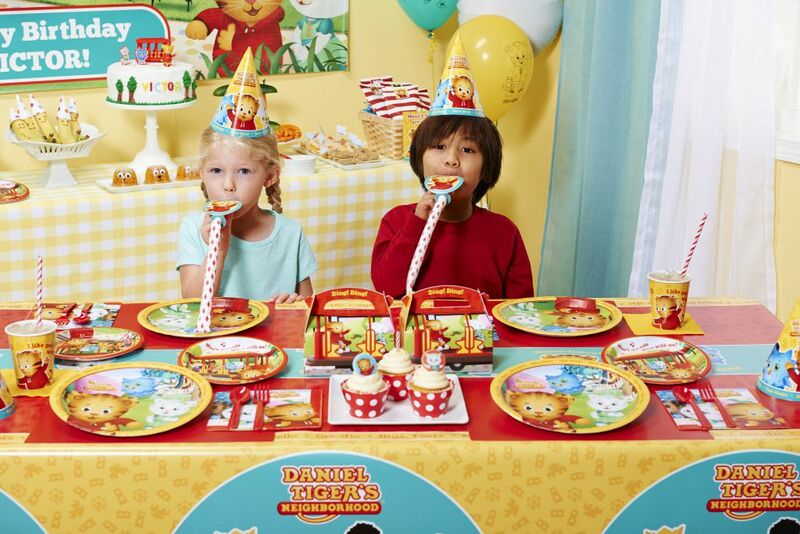 Fortunately, BirthdayExpress has everything you need to throw your little one a tiger-riffic party for all the little Ugga Muggas in YOUR neighborhood! 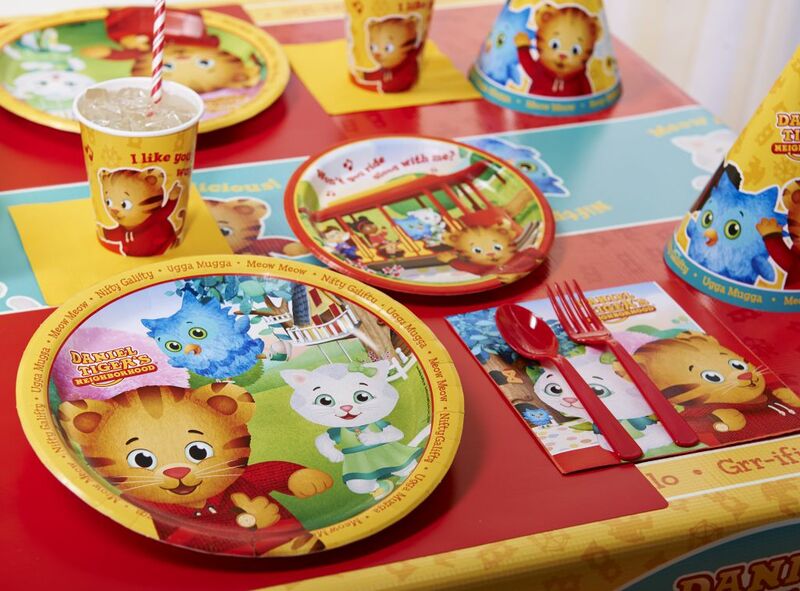 Our Daniel Tiger tableware is completely cute and fantastically festive. Get everything you need in our Express Value Party Pack. 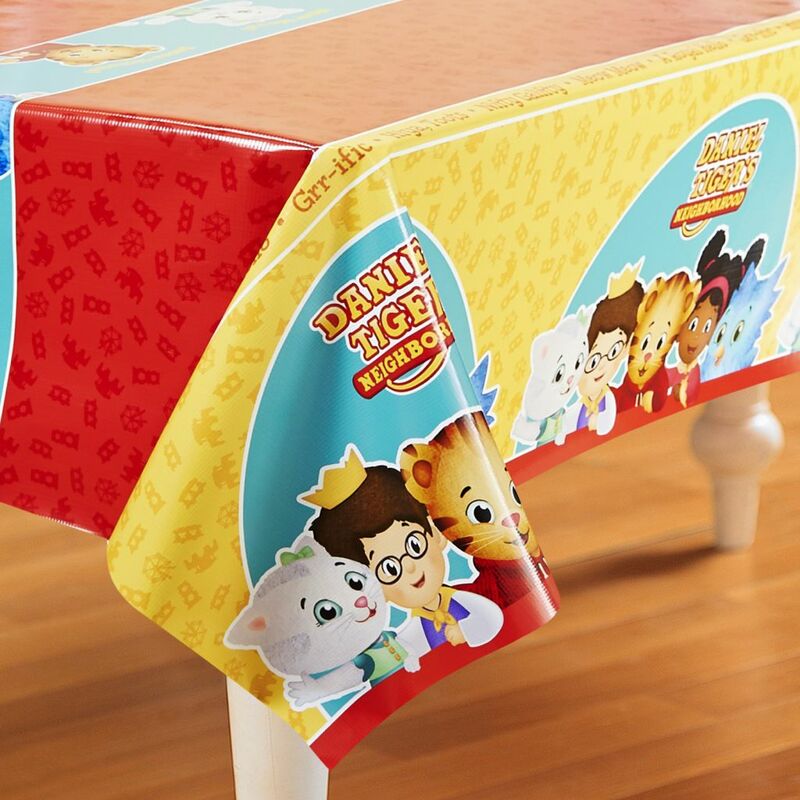 Decorate your party table with this gorgeous Daniel Tiger plastic tablecover, featuring all of your child’s favorite characters. 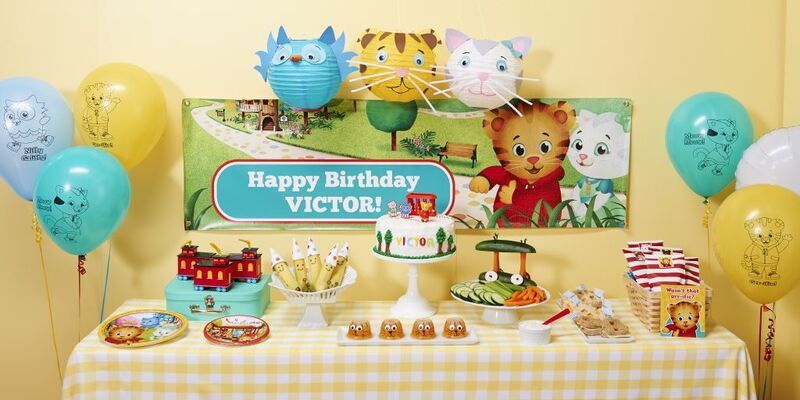 The decorations for our party are anchored by this beautiful personalized vinyl Birthday Banner! Everything else fits in perfectly. 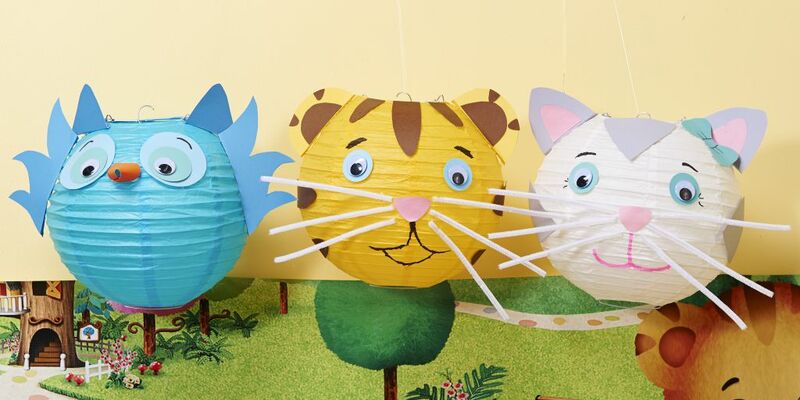 We’ll start with these delightful DIY paper lanterns made up to look like Daniel Tiger, Katerina KittyKat and O the Owl. They’re made with shapes cut out of scrapbook paper, googly eyes, pipe cleaners for the whiskers and markers for the mouths and eyebrows. 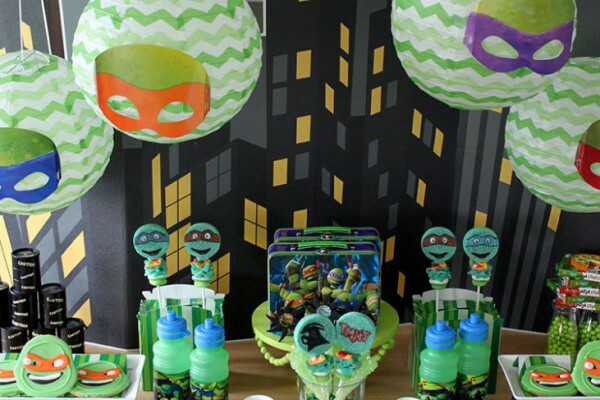 This is a project that can be tackled with the help of the birthday boy or girl. 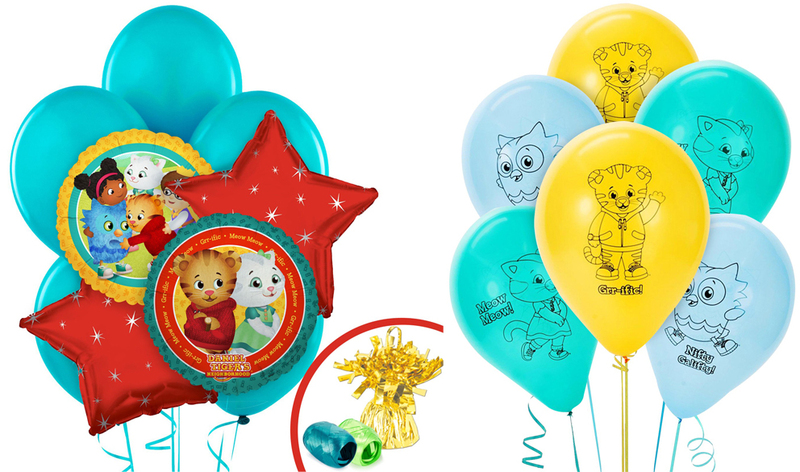 If you’re looking for balloons for your party, we’ve got you covered there too. You can get either our Balloon Bouquet, or a pack of latex character balloons. These little caboose souvenir drink cups make for pretty accurate Magic Trolleys too, and they can also double as a wonderful party favor! 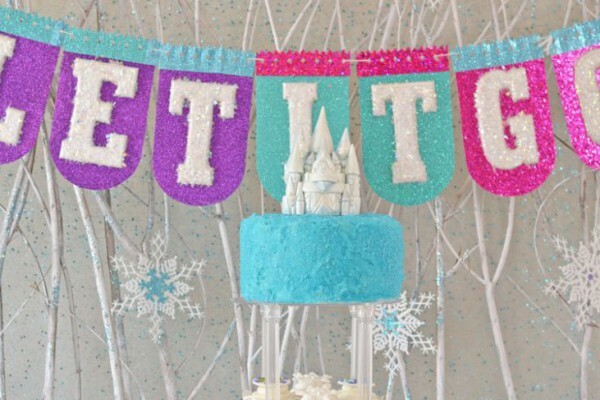 This cake topper set adorns our chocolate cake, with vanilla icing, frosting trees and fondant letters. 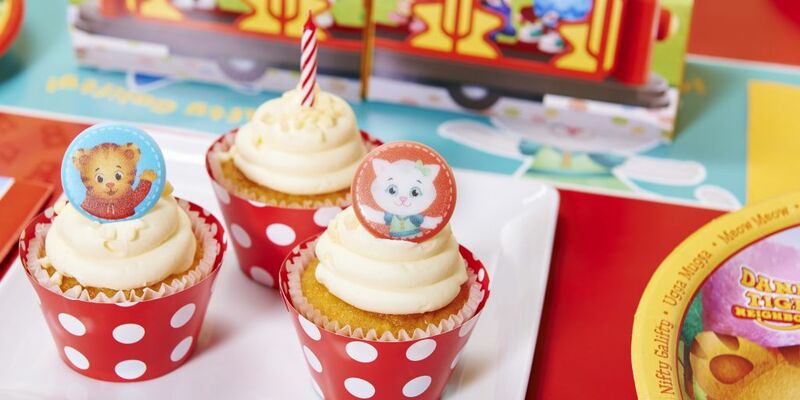 We dressed up these cupcakes with red polka dot wrappers, as well as these darling little cupcake rings. 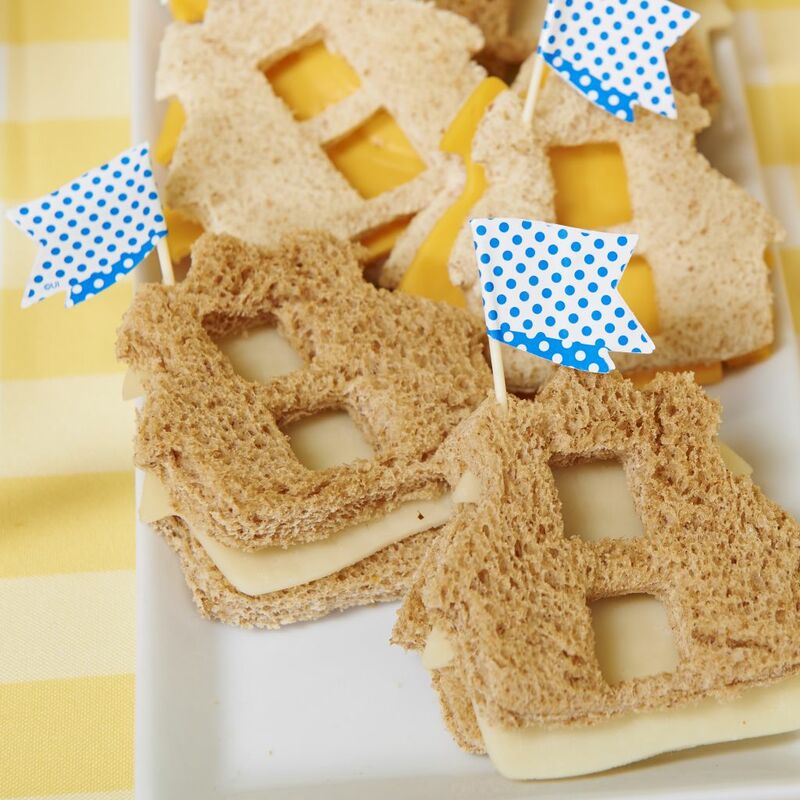 These schoolhouse-shaped cheese sandwiches are made with a cookie cutter. 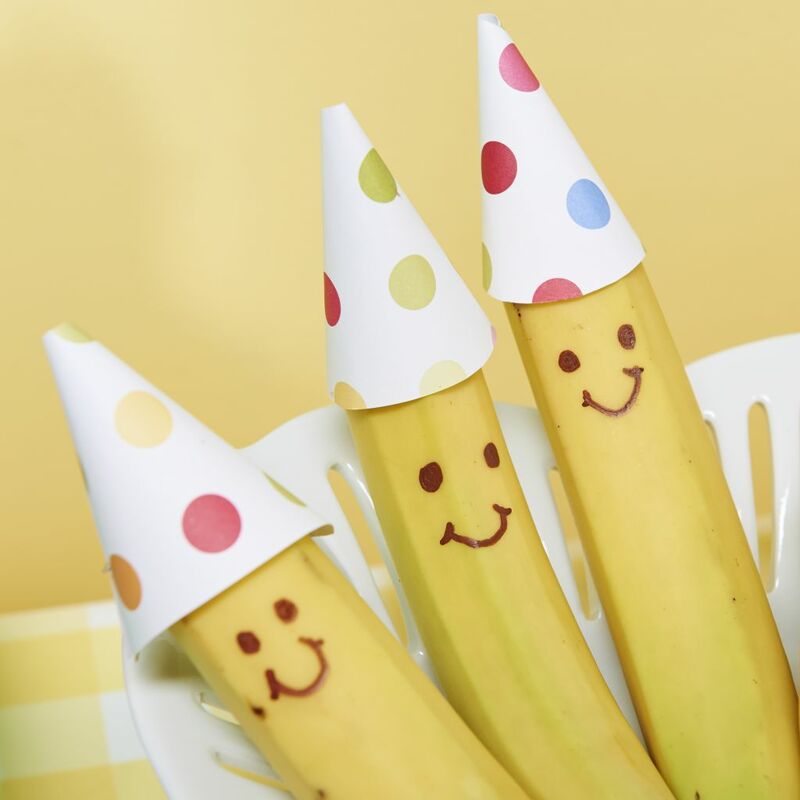 Smiley Face Bananas Wearing Party Hats. Need we say more? All you need to achieve this look (besides, you know, bananas) is a brown marker and some scrapbook paper. 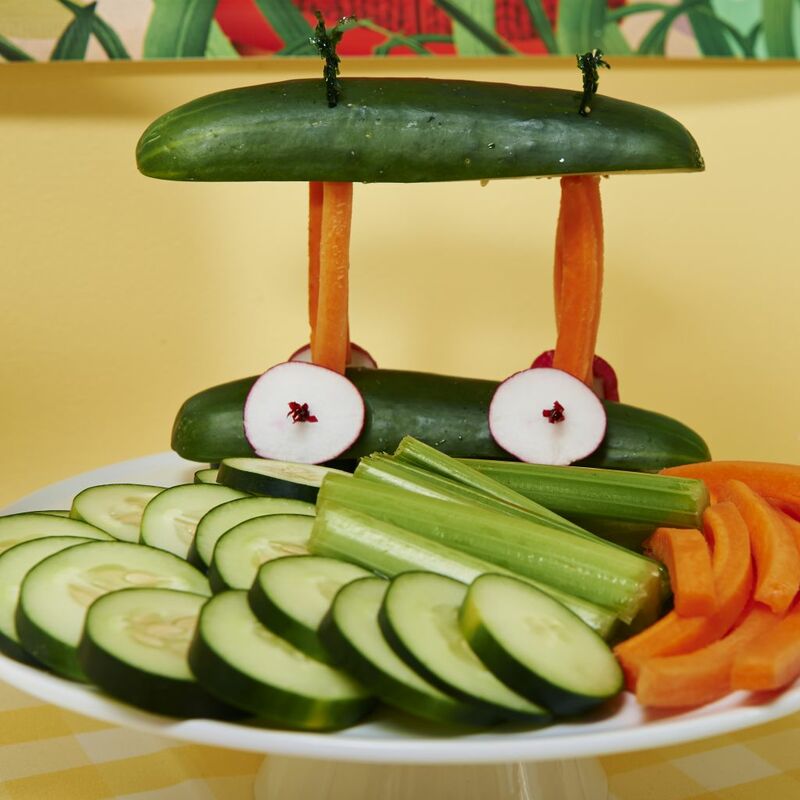 This healthy vegetables platter has cucumber slices, celery and carrot sticks, and something extra special — a Magic Trolley made out of colorful veggies! 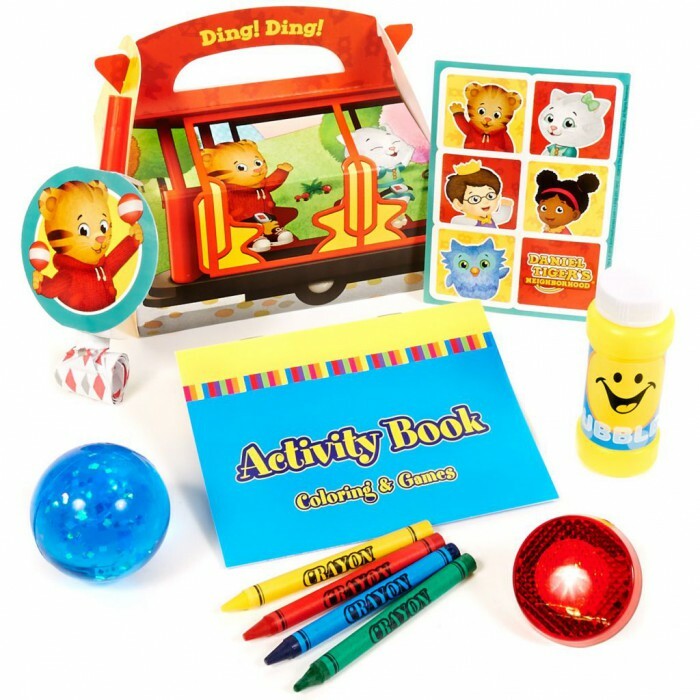 This “nifty galifty” matching game is always a big hit with all the little guests! 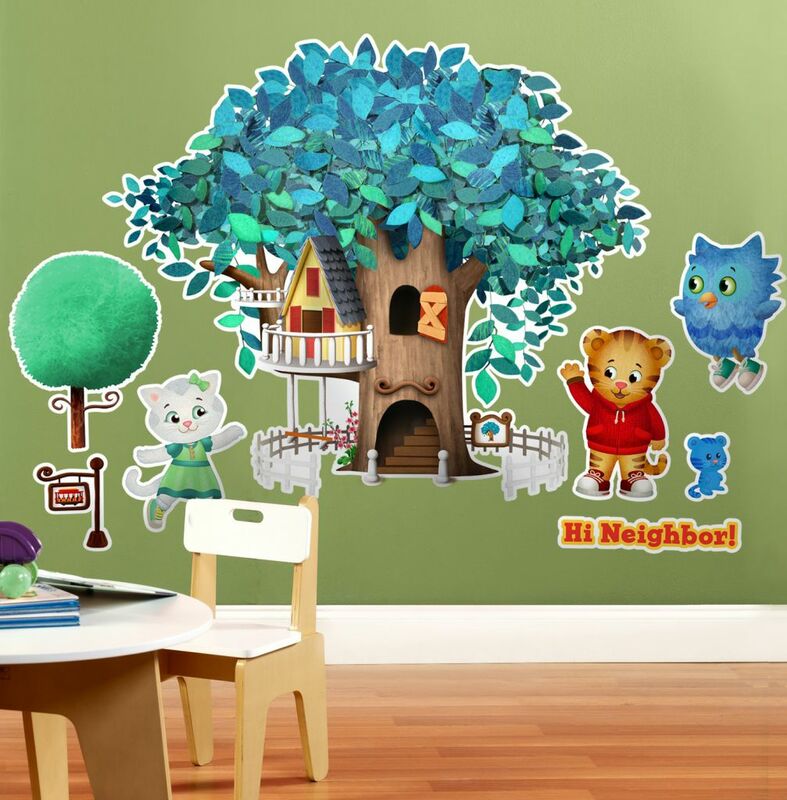 These amazing removable Daniel Tiger wall decals are great temporary decorations for the party, plus they make great permanent decorations for the birthday kid’s bedroom after the big day is over. 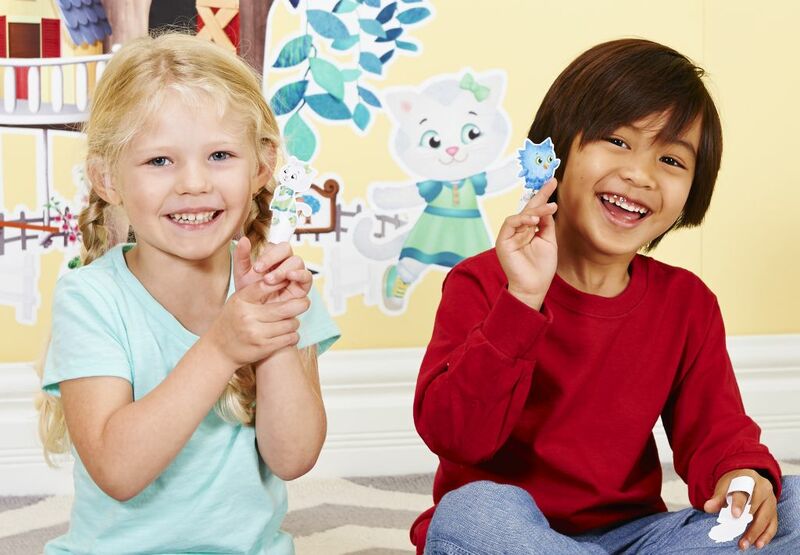 These little paper finger puppets are available exclusively from BirthdayExpress, and you can get them for free! Just click HERE. 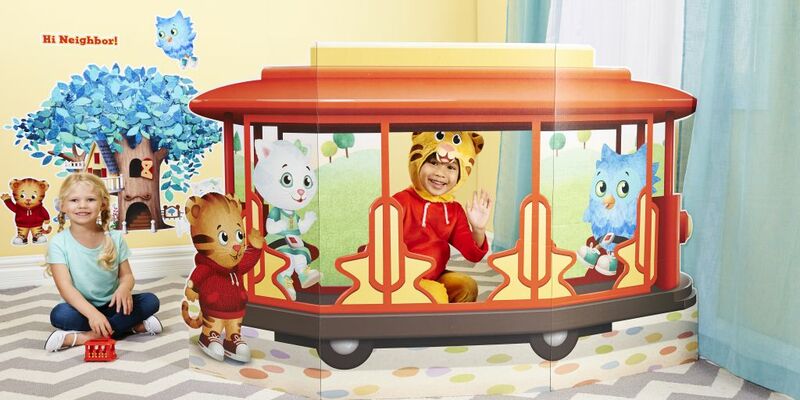 This ADORABLE Daniel Tiger costume (available from our sister site, CostumeExpress.com) is the perfect final touch to the big day. 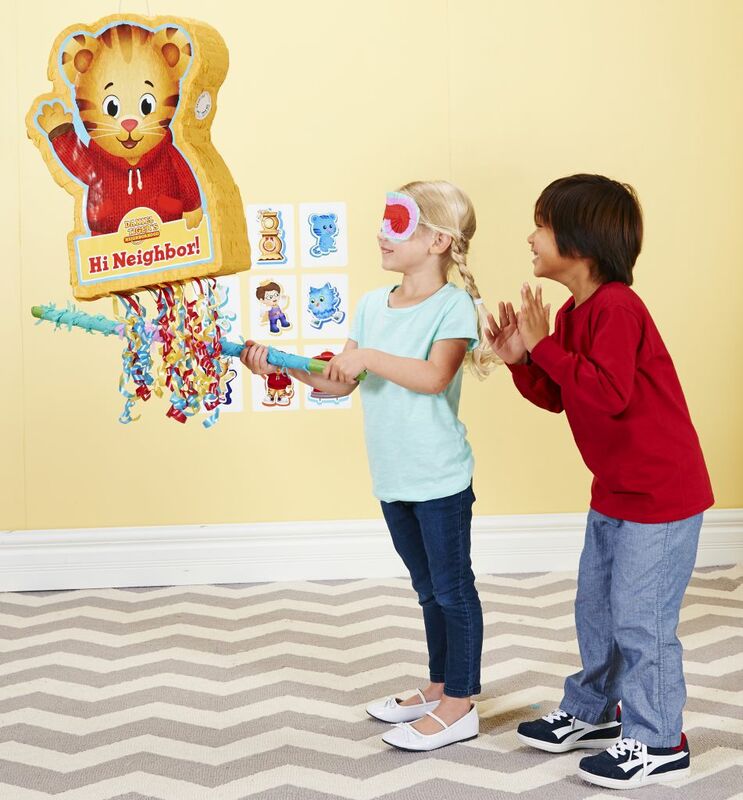 But if you want to go with a serious WOW Factor for your Daniel Tiger party, try this Magic Trolley cardboard stand-up photo prop. Every kid loves posing for pictures! 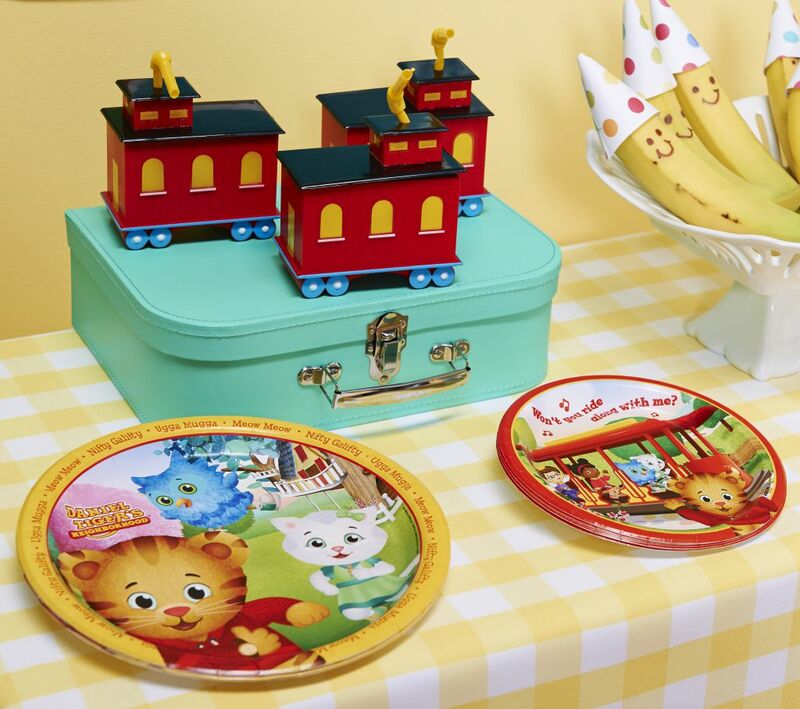 Finally, send home the guests from the party with one of these super cute pre-filled Daniel Tiger party favor boxes. They’re shaped like little trolleys! What a grrr-eat way to end a purrrrfect day! 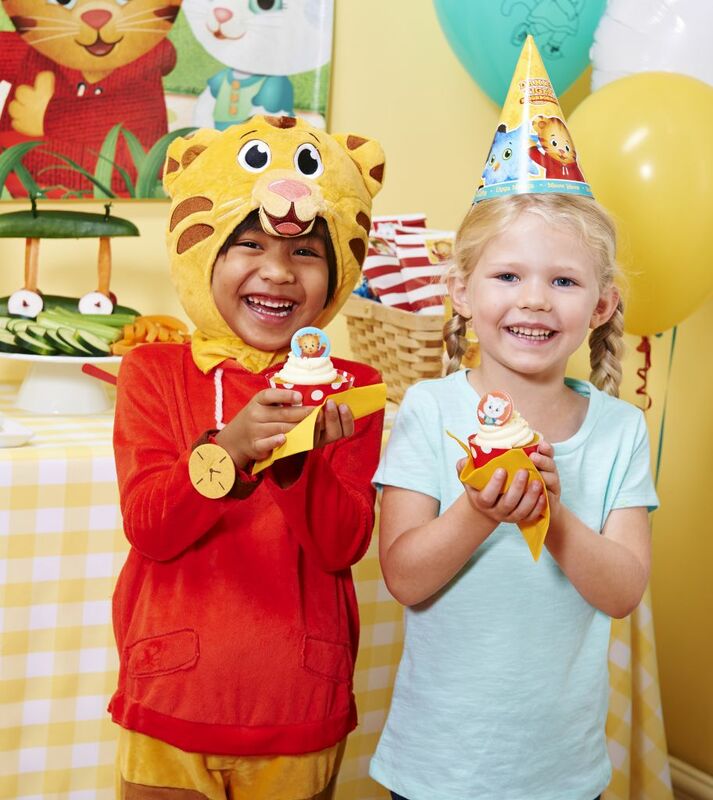 Did we inspire you to throw a tiger-tastic party for all the friends in your little tiger’s neighborhood?